Chelsea may face a battle with big-spending Paris Saint-Germain over Porto wing back Alvaro Pereira. 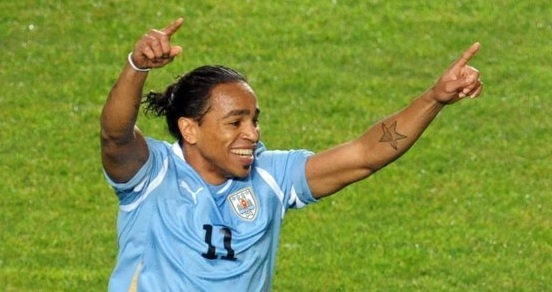 Andre Villas-Boas is keen to bring in a replacement for Yuri Zhirkov, who joined Anzhi Makhachkala last week for a reported £13m and wants Uruguay international Pereira. The 25-year-old was a regular under Villas-Boas at Porto, where he is a firm favourite, but that is reflected in the asking price with the player having a £25m buy-out clause. Liverpool had made enquiries about signing Pereira after his impressive displays at the Copa America, but were put off by the £15m asking price. Chelsea would be more than willing to do business at that figure but PSG's interest allows Porto to auction the player to the highest bidder. Pereira, with more than 30 international caps, has an eye for goal, scoring twice during the Copa America, but is equally adept at playing left back as he is as a left-sided midfielder.